May it be to reveal the new adventures of Marsupilami or to discover a new side of the Gaston’s tricks, our public publications rely primarily on emotion. 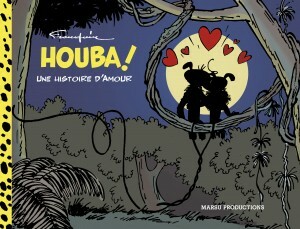 Always a pioneer in the field, Marsu Productions launches in 2010 Houba! , the first mass-market comics collector: a remastered content (newly colored drawings, original size boxes, etc.) in a premium limited edition (Italian display, 64 pages and numbered) for a price close to a usual book.